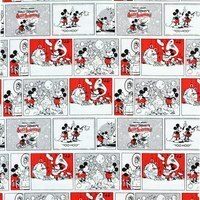 Disney's Donald Duck fabric panel measures 36in wide by 43in long. 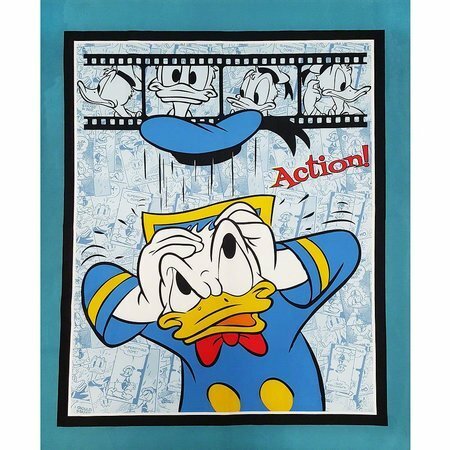 Donald Duck is featured on a collage of comic strip like blocks along with a film strip of portraits. 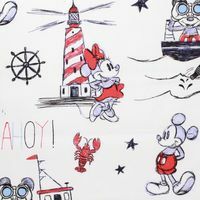 Use this panel as the centerpiece in your next Disney inspired quilt.